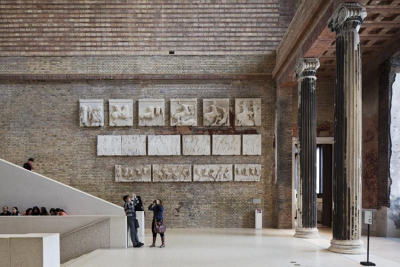 The Neues Museum was designed by Friedrich August Stuler and built between 1841 and 1859. Extensive bombing during World War II left the building in ruins. Few attempts at repair were made after the war, and the structure was left exposed to nature. 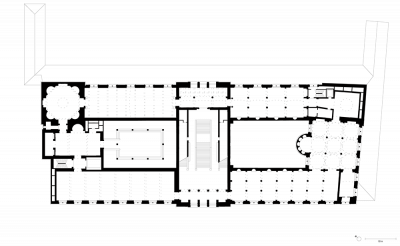 In 1997, David Chipperfield Architects won the international competition for the rebuilding of the Neues Museum in collaboration with Julian Harrap. 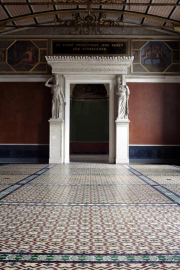 The key aim of the project was to recomplete the original volume, and encompassed the repair and restoration of the parts that remained after the destruction. 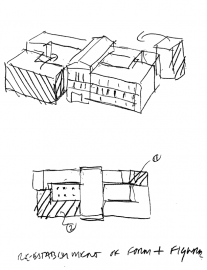 The original sequence of rooms was restored with new building sections. The archaeological restoration followed the guidelines of the Charter of Venice, respecting the historical structure in its different states of preservation. 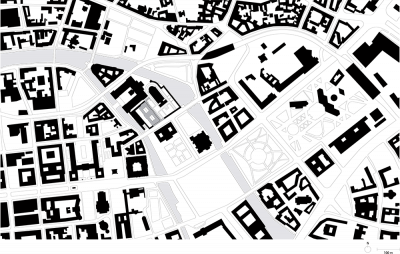 Driven by the idea that the original structure should be emphasised in its spatial context and original materiality the new reflects the lost without imitating it. The new exhibition rooms are built of large format pre-fabricated concrete elements consisting of white cement mixed with Saxonian marble chips. 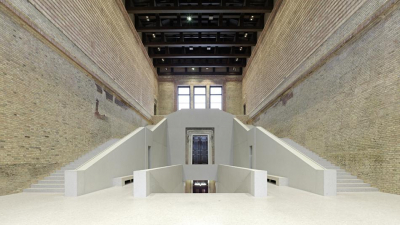 Formed from the same elements, the new main staircase repeats the original without replicating it, sitting within a majestic hall that is preserved only as a brick volume. 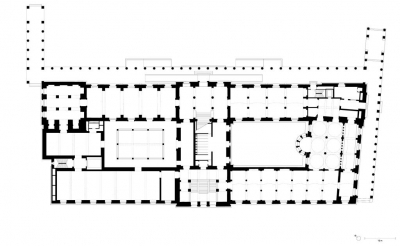 Other new volumes  the Northwest wing, the apse in the Greek Courtyard, and the South Dome  are built of recycled handmade bricks. 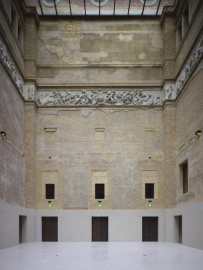 With the reinstatement and completion of the colonnade at the eastern and southern side of the Neues Museum, the pre-war urban situation is reestablished to the east. 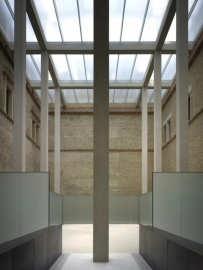 The new James Simon Gallery will be constructed between the Neues Museum and the Kupfergraben Canal, echoing the pre-1938 urban situation. 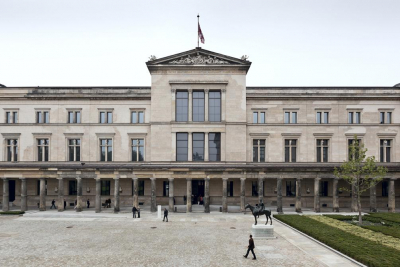 In October 2009 the Neues Museum reopened to the public as the third restored building on Museum Island, exhibiting the collections of the Egyptian Museum and the Museum of Pre- and Early History.